The corresponding-states principle helps the understanding and calculating of thermodynamic, transport, and surface properties of substances in various states, required by our modern lifestyle. 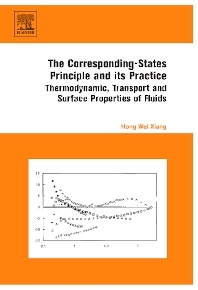 The Corresponding-States Principle and its Practice: Thermodynamic, Transport and Surface Properties of Fluids describes the origins and applications of the principle from a universal point of view with comparisons to experimental data where possible. It uses the universal theory to explain present theories. Emphasis is on the properties of pure systems, and the corresponding-states theory can also be extended to mixtures, which are treated as pure systems. Furthermore, the author discusses current progress, and shows technicians how to derive practical equations from molecular modeling. The Corresponding-States Principle and its Practice: Thermodynamic, Transport and Surface Properties of Fluids is the ideal handbook for those in chemical science and engineering related to energy, environment, natural gas, and petroleum.